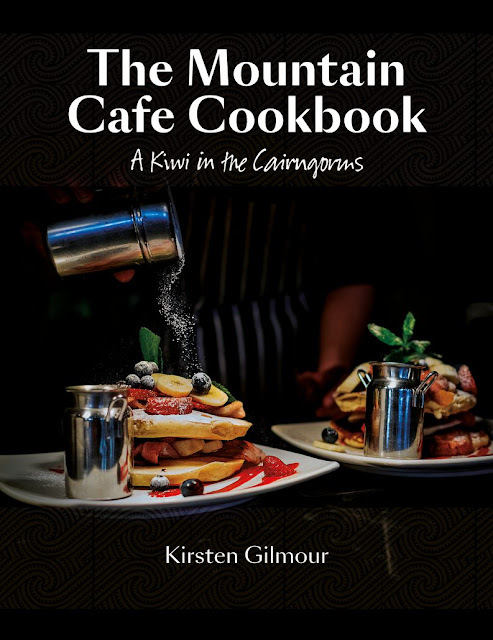 From now until midnight on 31st March, you can be in with a chance of winning a copy of the wonderful (and newly published) The Mountain Cafe Cookbook by Kirsten Gilmour! I've been so excited for this book coming out - it's packed full of recipes inspired by Aviemore's famous cafe and I can't wait to get cooking and baking. From cakes to cafe favourites, there's something to inspire even the novice home cook. You'll find loads of hints and tips to make your recipes gluten free if needed. This book is an absolute essential for any 21st century kitchen and please, stay tuned later in the week as I try my hand at recreating Kirsten's mum's famous chicken pie! I've been sent my very own copy from the lovely team at Kitchen Press and can't wait to make my own highland treats. "I'd love to win a copy of The Mountain Cafe Cookbook because..."
We'll chose the best response as the winner and be in touch to let you know. Hi Donna, I've had so many problems with rafflecoper recently. Thank you for letting me know. You can now enter the competition directly on this page by commenting! I'd love to win a copy of The Mountain Cafe Cookbook because I love cooking and am always excited by the thought of a new recipe book, I love Scotland and have very fond memories of Aviemore, and I love, love LOVE New Zealand and the Kiwi attitude to food. The review makes the book sound like just the kind of book I love, with lots of original takes on dishes - I'm drooling at the thought of Butternut, Chilli and Coconut Fritters! Hi Jane! Thanks for entering the competition... we'd like to choose you as the winner! Please contact me on whatclairebaked@gmail.com with your name and address and we will get your prize posted out. Congratulations! !